J.O.S Solicitors is an Award Winning Law Firm, that offers specialist Legal Services for Business. We provide a full Employment Law* and HR compliance service for organisations, which covers all aspects of employee relations from the drafting of contracts, internal policies and procedures through to ensuring that organisations are protected from any potential proceedings. Our legal services for business offering also includes Corporate Law & Commercial Drafting together with Intellectual Property Law, a growing service area. While our Commercial Litigation* and Mediation services are invaluable in helping business resolve commercial and workplace disputes. We also provide focused Legal Services for Individuals in the specifically selected litigious areas of Medical Negligence Cliams*, Personal Injury Claims*, Employment Law Claims* and Defamation*. We have chosen these specialist legal areas because of our vast experience and deep understanding of such contentious matters. 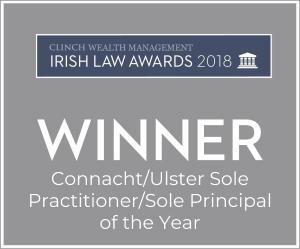 * “In contentious business, a solicitor may not calculate fees or other charges as a percentage or proportion of any award or settlement. 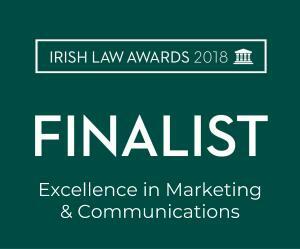 We are innovative in our approach and are one of the only law firms in Ireland to offer clients a dedicated Public Affairs and Lobbying through our Consultancy Services for Business. We recognise the need to assist organisations and communities when faced with difficulties arising from regulatory or policy issues. Our legal knowledge combined with our Employee Engagement services, help to transform workplace environments for better organisational success and staff morale. While our tailored Crisis Management services provide the requisite strategic know-how to help plan and protect at times of organisational crisis and limit reputational risk. 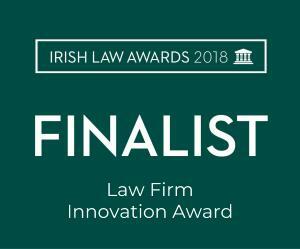 We understand the legal landscape in Ireland is changing and so too are client needs. Our business model offers a fresh approach to the delivery of legal and consultancy services. By focusing our expertise on specific practice areas while embracing the latest technology, we are better positioned to provide a more tailored service to our clients; delivered in an efficient, expert and cost-effective manner.